Wellington, 29 May 2013 - At a time when quality, well-located office space in Wellington is in consistently high demand, the prestigious iCentre at 50 Manners Street has come on the market for sale. iCentre is exclusively marketed by Ryan Johnson, John McKenzie and Mark Hansen of CBRE on behalf of a Wellington family trust, and is for sale by Deadline Private Treaty with a closing date of 4pm Wednesday 12 June. Ryan Johnson, Managing Director of CBRE in Wellington says that he is expecting major interest in this major Wellington office tower, which offers diversified income, in a prominent corner location at an affordable entry level for a CBD office tower. 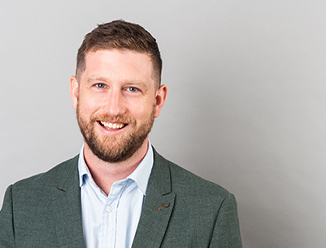 “A fully tenanted, seismically sound property like the iCentre is hard to ignore, because the long-term investment potential provides such an attractive proposition." Completed in 1988, the Manners St property has a floor area of 4,836sqm over 13 levels. It occupies an 822sqm site, with ground floor retail and 12 floors of office space in the tower above. The current asset management programme has ensured that the building has been maintained to a high standard, protecting the value of the property. “The 12 office floors provide very good quality accommodation, with excellent natural light and outlook. The majority of the office floors have been extensively refurbished with high quality fit-outs, adding further value to the site. iCentre’s 12 high profile occupants include BNZ, with its large retail tenancy on the ground floor (16.9% of income), Grow Wellington (15.3%), The Wellington Company (31.6%) and the Spanish Embassy(6.1%). BNZ occupies a prime ground floor retail position, and with four other six year leases recently renewed across the building, iCentre has a strong weighted average lease term of four years. Mark Hansen says: “There is a great level of stability and diversified income for the prospective buyer, with fully-leased net income of $1,471,246. “Tenants on the upper floors of iCentre get magnificent views of Wellington’s waterfront and with continuing demand for such a stunning backdrop, those offices are in the top spot to soak up those clear, sunny Wellington days”. 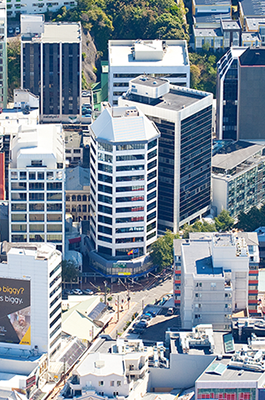 Mackenzie says: “iCentre sits in a highly visible position on Wellington’s Golden Mile. It has significant street frontages to both Manners and Victoria Streets, with an attractive entry foyer leading in from Manners St.